You don’t have to be a furry mouse murderer to know that playing with sharp objects is fun. 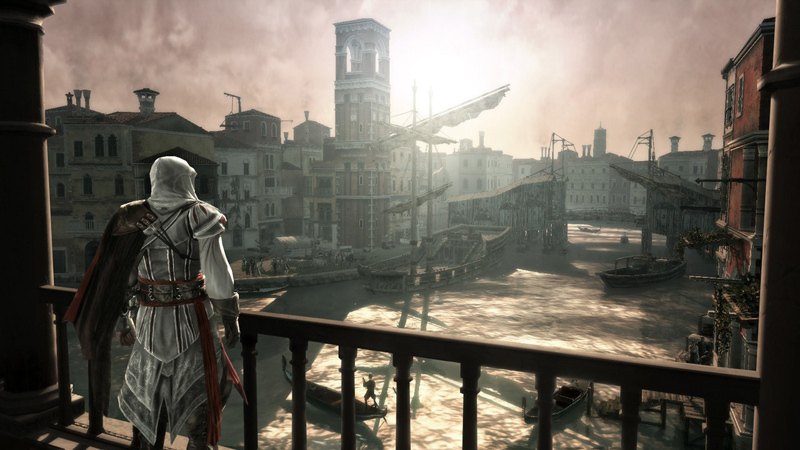 In Ubisoft’s latest Assassin’s Creed 2 you get to do just that, and it’s a gem. The first installment was a masterpiece, and the second is every bit as good as the first. IGN scores it a 9.2 and says it “plays up every popular aspect of the first installment while righting many of its flaws”. The world of the assassin is one cloaked in shadow and steeped in danger. Ensnared in a web of revenge and conspiracy, the assassin embraces power at its most elemental, acting as the dividing line between life and death. 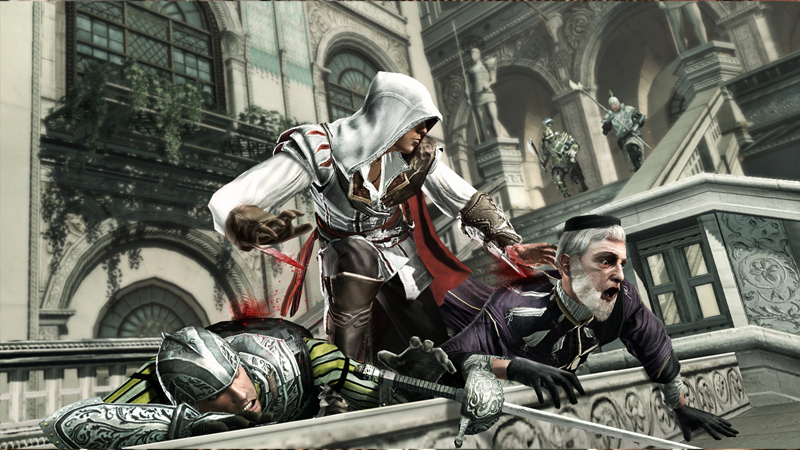 As an assassin confronted by perilous new challenges and difficult choices, what path will you choose? Get ready to plunge into the lush and deadly world of the Italian Renaissance, an era of arts, riches and murderous conspiracy. 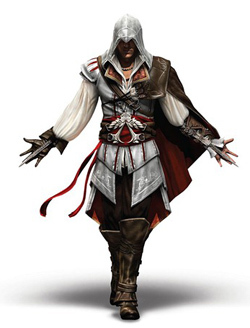 Assassin’s Creed II introduces you to Ezio, a new assassin carrying on the deadly lineage of his forebears. 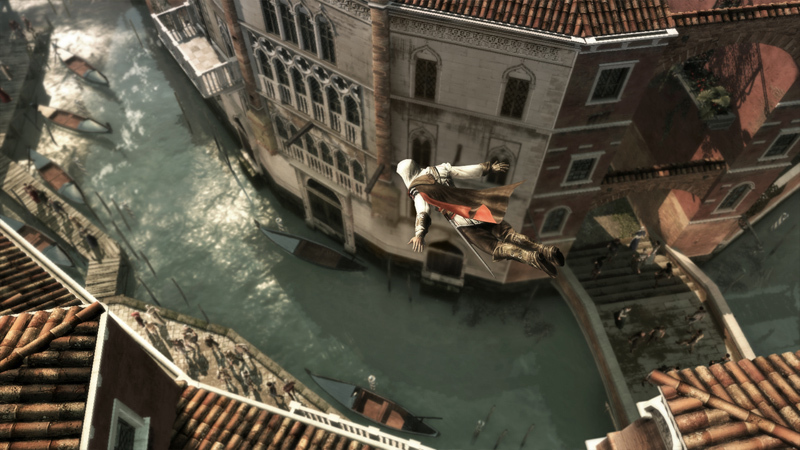 Confront an epic tale of power and corruption as you hone your assassin’s art, wielding weapons and instruments designed by the legendary Leonardo da Vinci himself in this gripping and deadly sequel.